The Agawam Diner on Rt. 1 in Rowley was built by the Fodero Dining Car Company in 1954. An earlier Agawam Diner was opened by the Galanis Family at Depot Square in Ipswich in 1940, and was replaced by a larger diner, and then by the current one in 1954. 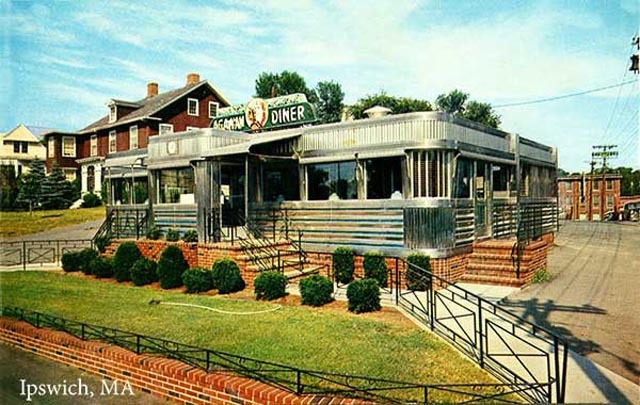 The diner was moved from Depot Square in 1967 to Peabody and then to its current location on Rt. 1 in Rowley, The Agawam Diner is still operated as a family business, and is listed in the National Register of Historic Places. Shown below is a 1950’s photo of the diner when it was on Market Street at Depot Square in Ipswich, across from the present Institution for Savings. Although this location is now a parking lot, the mill building in the background still stands, owned by EBSCO, and the 1847 Lord-Sullivan house and the Victorian Bailey house on the left in the photo are still standing as well. Read the complete story of the Agawam Diner. 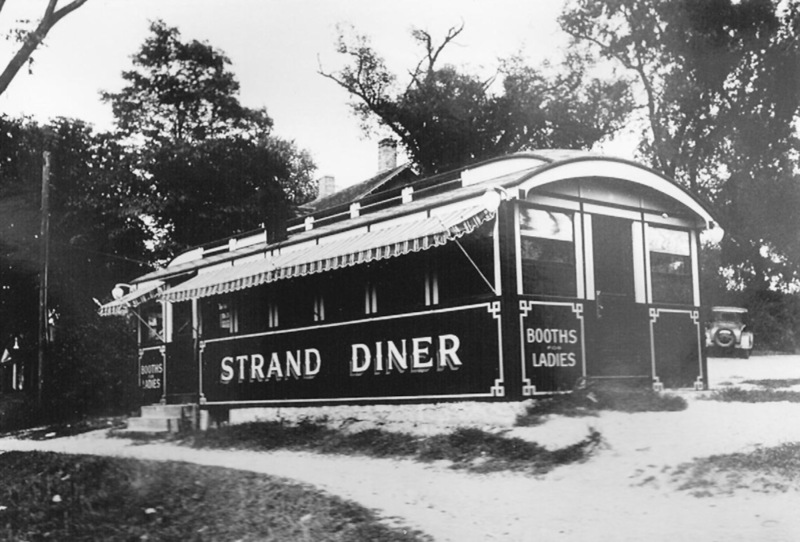 The Strand Diner was the first diner at the location across from Depot Square. The Agawam Diner is now at the intersection of Rt. 1 and Rt. 133 in Rowley. 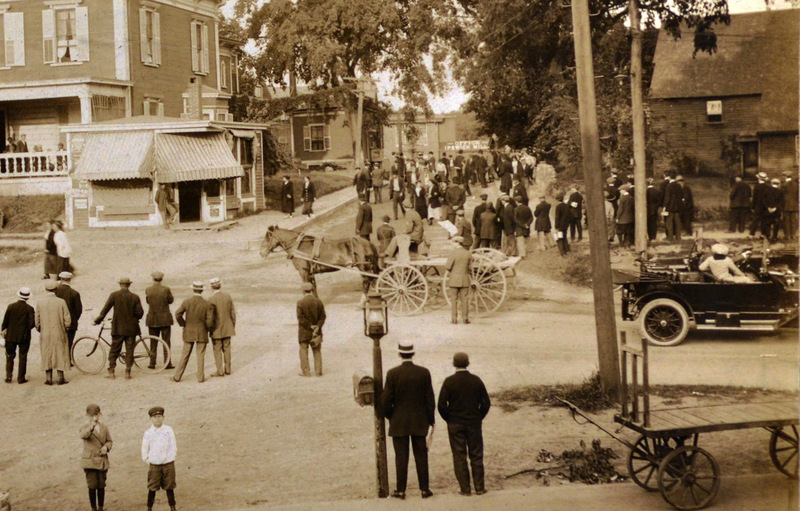 Photo from the 1913 Ipswich Mills strike. The building on the left was at one time the Greek Hotel and had a cafe. 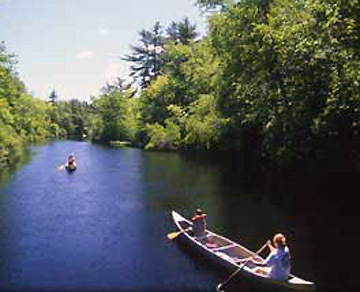 The Agawam Diner was located on that spot. 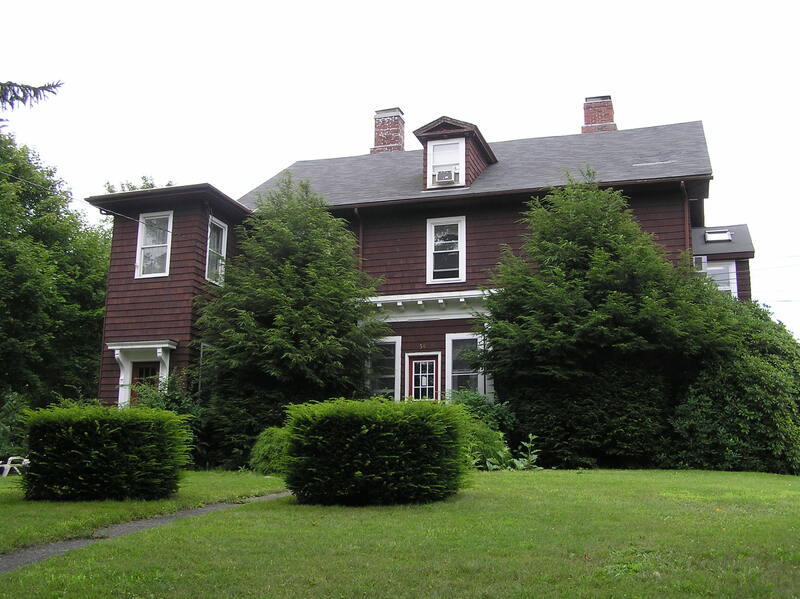 On the right you can see the Whipple house at its original location. Closeup from the 1884 Ipswich Birdseye map. The diner was located at the corner of Market and Saltonstall Street where the Victorian-appearing “Greek Hotel” was located. Saltonstall was known as Winter St. at that time. 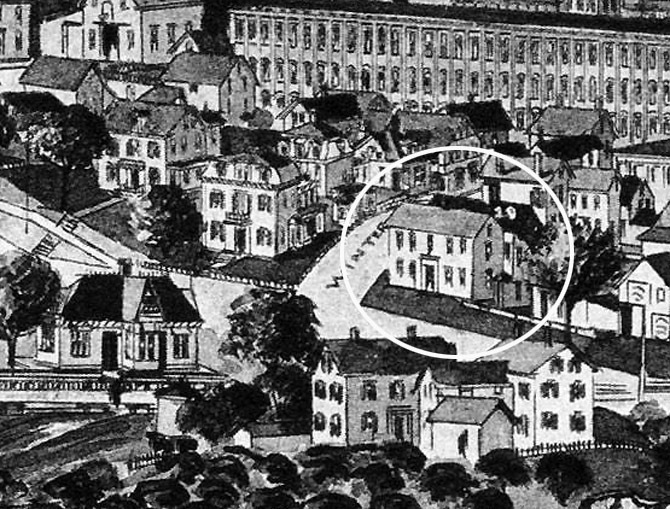 On the other side of the intersection, the (actual) Christian Wainwright house is circled, and the Whipple House (marked 19) is behind it. Across Market St. is the Ipswich Depot, and in the background you see the Ipswich Mills. 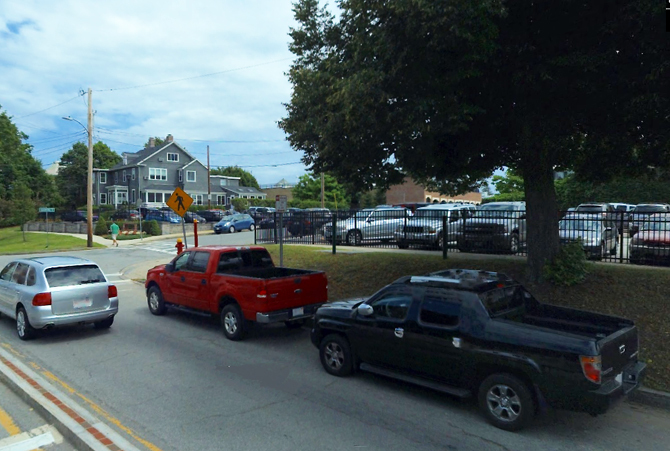 Today the intersection has parking lots for EBSCO on either side of Saltonstall Street. On-street parking is now prohibited in this constricted area of Market St., giving better sight lines to the pedestrian crossing.